Riyadh vowed to retaliate after U.S. President Donald Trump warned that Saudi Arabia would face “severe punishment” if the kingdom was in anyway responsible for Jamal Khashoggi’s disappearance from Saudi consulate in Turkey. Riyadh: Following the disappearance of journalist and Washington Post contributor Jamal Khashoggi, a host of Western companies have distanced themselves from Saudi Arabia, leaving the Riyadh stock market in the doldrums. The Gulf state has vowed to fight back any further threats of economic sanctions in the event of the Khashoggi case. The shares of Saudi Arabia in the Riyadh stock market plunged as much as 7 per cent on Sunday, much to the jitters of the investor. The dip in the shares led to the wiping out of their gains for 2018. Saudi’s relation with the international community, right from the tech tycoons to the media giants, have deteriorated, imperilling the much-hyped economic reform drive of Crown Prince Mohammed bin Salman. Business barons such as British billionaire Richard Branson and Uber CEO Dara Khosrowshahi pulled out of the Future Investment Initiative in Riyadh. The meeting which is scheduled to be held in Riyadh from October 23 to 25 is going ahead despite some major withdrawals. A number of media partners, including The New York Times, The Economist, CNN and Bloomberg, have pulled out of the meeting which is also known as “Davos in the desert”. Mohammed Zidan, a market strategist at Thinkmarket in Dubai said, “There has been a kind of uncertainty surrounding the situation of the disappearance of Khashoggi, which has caused the market to fall.” According to Zidan, several political and economic factors have led to the panic selling and the consequent drop in the Saudi stocks. To combat the sanctions, the Gulf nation would implement “over 30 measures”, reported Saudi-owned Al Arabiya channel. These measures include the sale of oil and arms, exchange of information between Riyadh and Washington, and a possible reconciliation with regional arch-rival Iran, said the report. Riyadh vowed to retaliate after US President Donald Trump warned that Saudi Arabia would face “severe punishment” if the kingdom was in anyway responsible for Jamal Khashoggi’s disappearance from Saudi consulate in Turkey. 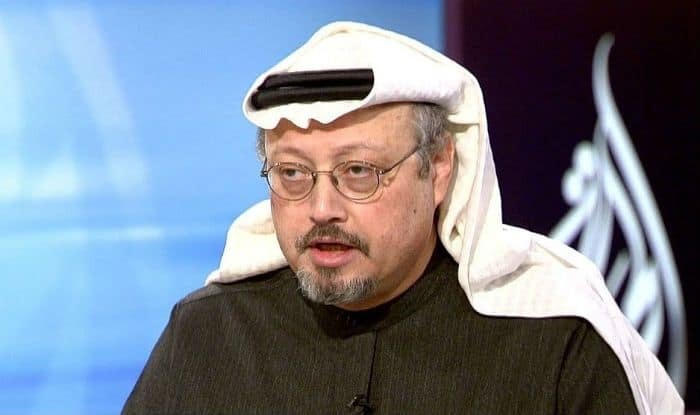 While Turkish officials insist that Khashoggi was killed in the consulate, the Saudis claim that he entered the building at 1.14 PM on October 2 and left the place later.